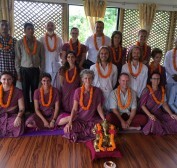 The start of a new 200 hour Teacher Training Course here in at The Nepal Yoga Academy. 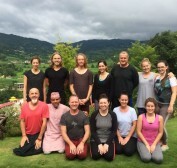 This one dozen yogis are coming from various backgrounds and cultures, all with the aim of immersing themselves into Sanatan (or Classical Yoga) and taking a yogic teachings to the world. The group has come from Denmark, USA, Australia, South Africa, Lebanon, UAE & a Canadian. & Canada Some are travelers, some office folk and other gurus of life. 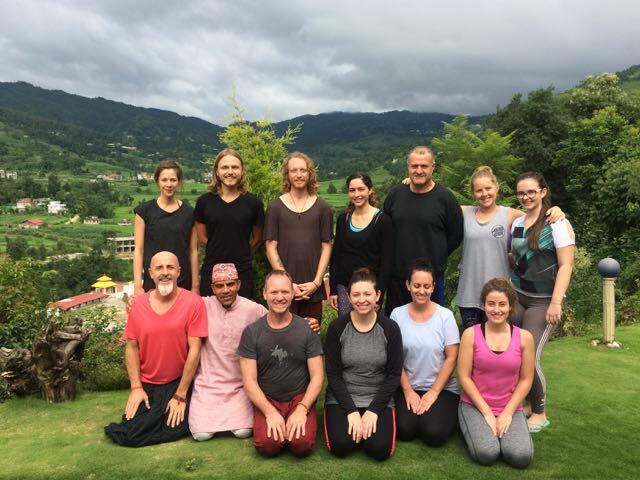 Its a great bunch and I can hear their voices resound across the valley they learn and perform in their first mantra chanting lesson. For the first time, we have a mother & daughter combination and a father & daughter combination too! It’ll be exciting watching them develop their individual strengths and to further build upon their current relationships. This month is will be a great challenge for all but with our supportive and nurturing guru and ever so hospitable support crew, It’ll be rewarding and a beautiful transition. Its an exciting time for all! What the Frenchman, Maurice had to say abou. . .